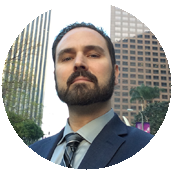 Interview With ProCAT | Todd Olivas & Associates v3.0 | Court Reporting Services in Orange County, Riverside, San Bernardino, San Diego, Los Angeles, Irvine, Santa Ana, San Jose, Sacramento, Fresno, San Francisco, Bakersfield. TO&A employs no court reporters, interpreters or videographers of our own. The providers we send are fully qualified and reliable independent contractors. What is your position with ProCAT? How did ProCAT come about? What got the company into the court reporting equipment software business? What changes have you seen in court reporting software since you started? What are your recommended tips for people when choosing CAT software? What are the differentiating points between ProCAT and other vendors? What does the future of the court reporting software look like in, say, five years? What one thing would you like court reporters and students to take away from reading this interview?